Mobile is one of the newest and fastest growing specialties within digital marketing. Learn from industry experts as they share critical skills used within the mobile marketing landscape. Learn how to find, engage, and convert customers using mobile devices, and you'll gain a highly coveted skillset within the digital marketing profession. 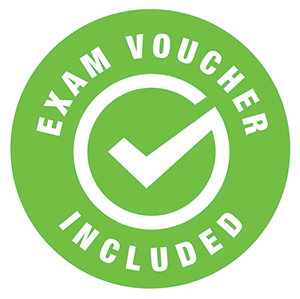 Upon completion of your program, you’ll receive an exam voucher to take the Online Marketing Certified Associate (OMCA®) exam. Throughout this program, you’ll master cutting edge digital marketing skills. Initially, you’ll be given an overview of the digital marketing landscape and the roles within the industry. Following this overview, you’ll learn how to leverage mobile to attract customers using their devices to browse, purchase, and post product reviews. This program fully prepares you for the Online Marketing Certified Associate (OMCA®) exam, administered by the Online Marketing Certified Professionals (OMCP®) organization. Digital marketers are in high demand in the job market, and the need for trained and experienced marketers is constantly expanding. Better yet, the field of digital marketing offers numerous opportunities for specialization, so you’re sure to find the arena in which you shine. In this course, you will learn how to build mobile marketing campaigns from start to finish. You’ll master the different opportunities available, recognize when to use the different channels, and the best way to reach people on the go. By the time you complete this program, you’ll be fully prepared to begin a career as a mobile marketing focused digital marketer. Upon registering, you’re given 6 (six) months to complete this program. You will have access to multiple disciplines, live workshops, and forums to interact with faculty and students. This program can be taken on a Mac, PC, or up to date mobile device (iOS 6 upwards, Android 4.4 upwards). It is compatible with the Windows XP and later operating systems, and works best on Chrome, Firefox, or Safari browsers. There are no specific computer requirements other than an internet connection, an e-mail account, and Flash 10.4 upwards for desktop viewing. All content is delivered online. There are no required textbooks. There are no specific prerequisites for this program, but before enrolling you should have a good grasp of the English language, and be comfortable using e-mail and the Internet. Avinash Kaushik is the Digital Marketing Evangelist for Google and the co-founder of Market Motive. Through his blog, Occam’s Razor, and his bestselling books, “Web Analytics 2.0″ and “Web Analytics: An Hour A Day”, Avinash has become recognized as an authoritative voice on how marketers, executive teams and industry leaders can leverage data to fundamentally reinvent their digital existence. Avinash puts a commonsense framework around the often frenetic world of web analytics and combines that with the philosophy that investing in talented analysts is the key to long-term success. He passionately advocates customer centrism and leveraging bleeding edge competitive intelligence techniques. Avinash has received rave reviews for bringing his energetic, inspiring, and practical insights to companies like Unilever, Dell, Time Warner, Vanguard, Porsche, and IBM. He has delivered keynotes at a variety of global conferences, including Search Engine Strategies, Ad-Tech, Monaco Media Forum, iCitizen, JMP Innovators’ Summit, The Art of Marketing and Web 2.0. Acting on his passion for teaching Avinash has lectured at major universities such as Stanford University, University of Virginia, University of California – Los Angeles and University of Utah. Avinash received the 2009 Statistical Advocate of the Year award from the American Statistical Association, and the 2011 Most Influential Industry Contributor award from the Web Analytics Association. Bryan Eisenberg is the co-author of the Wall Street Journal, Business Week, USA Today and New York Times bestselling books “Call to Action”, “Waiting For Your Cat to Bark?” and “Always Be Testing”. Bryan has been the keynote speaker for Search Engine Strategies, Shop.org, Direct Marketing Association, MarketingSherpa, E-consultancy, Webcom, SEM Konferansen Norway and the Canadian Marketing Association. He is also the co-founder and Chairman Emeritus of the Web Analytics Association. Bryan serves as an advisory board member of Search Engine Strategies, the eMetrics Marketing Optimization Summit and several venture capital backed startup companies (ie. 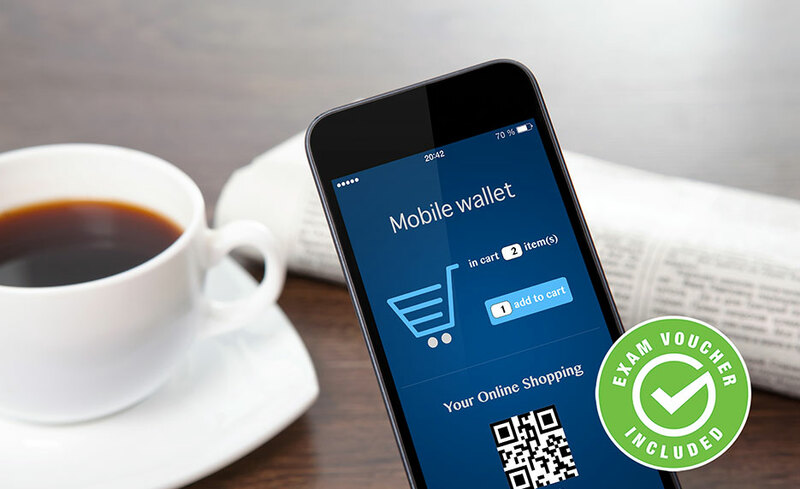 Bazaarvoice, Monetate, UserTesting.com, BoostCTR, Runa, etc.) and is on the board of trustees of the Direct Marketing Education Foundation. Jennifer Evans Cario is President of SugarSpun Marketing, and as a social media strategist has made a career out of finding unique and creative ways to connect with consumers without spending a fortune in marketing dollars. Jennifer is known for using real language and a common sense approach that delivers solid results while still allowing her clients to fully understand and participate in the process. Jennifer is a highly requested speaker and trainer and is a regular fixture at the major online marketing conferences. She also serves as Adjunct Professor for Rutgers University‘s online Social Media Mini MBA program. She is the author of three books, including “Pinterest Marketing: An Hour a Day”. Jennifer lives in Bentleyville, PA with her husband Matt and their three children. Brad Geddes is the author of “Advanced Google Adwords”, and founder of Certified Knowledge, an online source where the Paid Search community comes together for PPC training, tools, and advice. Brad makes it his mission to share his expertise in Paid Search with online marketers so they can build successful online campaigns that generate business. He frequently writes columns for Search Engine Land, co-moderates the AdWords forum on Webmaster World, has spoken at more than 35 conferences, and has led more than 60 AdWords seminars. Through his experiences, training, writing, and speaking, Brad has demystified the world of Paid Search. Take advantage of Brad’s expertise as you go behind the scenes in order to master the systems and strategies of Paid Search. Danny Dover is a passionate SEO, influential writer and obsessed life list completer. He is the author of the best selling book “Search Engine Optimization Secrets” and was the co-founder of Making it Click, a marketing training business. Danny’s expertise has been cited in Time Magazine, PC World, Smashing Magazine and Seattle Post-Intelligencer and has been translated into Japanese, Russian, French, Spanish, Italian, Chinese, German and Hungarian. He has spoken at numerous conferences (spanning three continents) and his work has been accessed online in more than 175 different countries. Before starting his own company, Danny was the Senior SEO Manager at AT&T and the Lead SEO at SEOmoz.org (now Moz.com). Jeff Hasen was named one of the top Chief Marketing Officers on Twitter (@jeffhasen) and is the founder and president of mobile consultancy Gotta Mobilize and author of two books, “The Art of Mobile Persuasion” and “Mobilized Marketing”. Jeff co-created the certification program for the Mobile Marketing Association. He is one of only two individuals certified by the MMA to train professionals and students on mobile marketing definitions, techniques and benefits. He recently was the sole mobile marketing certification trainer at the Direct Marketing Association’s national conference. Previously, he saw Hipcricket grow annual revenue from approximately $1 million to $25 million, a public market listing, designation by CTIA as a pioneer and by a leading wireless analyst as an “industry powerhouse”, and sale in 2011. Greg Jarboe is regarded as pioneers and leading authorities on online publicity, Greg has extensive experience in public relations, corporate communications and marketing. Greg is the author of“YouTube and Video Marketing: An Hour a Day”, and writes for Search Engine Watch and ReelSEO. Prior to co-founding SEO-PR in 2003, Greg was the Vice President of Marketing at WebCT, Director of Corporate Communications at Ziff-Davis, and Director of Corporate Communications at Lotus Development Corporation. Jamie O’Donnell was the president of IDM Partners, an online direct marketing agency that had IBM Global Services, Sprint, and The Great Plains Software Division of Microsoft as clients, prior to co-founding SEO-PR. Before that, he headed a Bay-area PR and Marcom firm, JONA Group, which launched more than 40 Internet startups between 1995 and 1999. All of our programs are self-paced and open enrollment, so you can start them when you want and finish them at your own pace. When you register, you’ll receive six (6), months to complete the program. No additional materials are required. There is occasionally suggested reading, but these books are not required for the completion of the course. The instructors of the course are successful working professionals within the industry. They are available via live-forum where you can ask questions about the curriculum and receive responses to your questions within two business days. In order to take our online programs, you must have access to a computer or mobile device and the Internet. You can access the program contents from any Web-enabled computer. You don’t have to use the same computer to log-in to the program every time. We recommend that you have a word-processing program (Microsoft Word is best) and the latest version of Chrome of Firefox. Yes, you can use a Mac for this program. 10. How can I get more information about this program? 12. Do I earn certificates or certifications? You will earn a Digital Marketing Foundations Certification and an additional discipline specific Practitioner Certificate after completing the program with a passing grade. Also, upon successful completion of this program you will receive a paid voucher for the OMCA certification exam. 13. What if I don't have enough time to complete my program within the time frame provided?